Have you ever found yourself on a river, walled in above a gorge, unable to get out of your boat, but needing to scout? 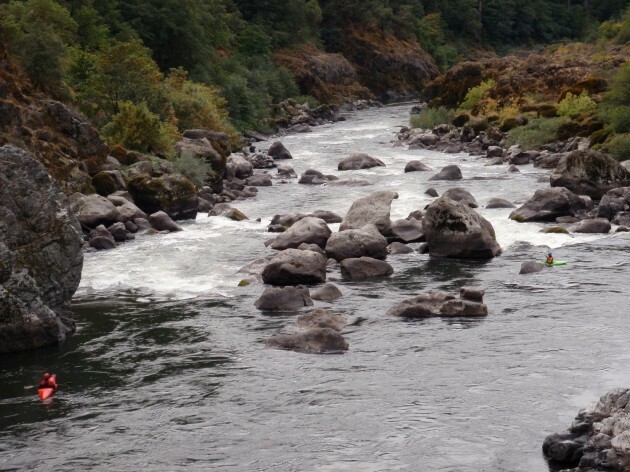 Â If you know the basics of boat scouting, you CAN scout the rapid, and pick your way through the gorge below. First things first, look ahead. As you are approaching the next rapid, sit up as tall as you can in your kayak, and just as you do from shore, scout the rapid. Can you see if you are dropping into a gorge, or is the rapid wide open? Is there a pool below, or is it a long continuous rapid? Are there waves? Holes? Crashing curlers? Are there any eddies visible in the rapid? How about hazards – rocks, trees, etc.? If you quickly see a line, commit to it, and charge your line. Be confident in your skills and ability, and paddle hard. If you don’t immediately see a line,Â make a game plan. 1. Â Try not to choose the very LAST eddy above a rapid. This could result in a scary ferry above an obstacle, or actually commit you to a line you would rather not run. 2. If possible, choose an eddy from which you can paddle back upstream from, giving you other options as a back-up plan. 3. If the river bends to the right, try to chose an eddy on the left in order to better see down the rapid (if you were to chose a river right eddy, you’d be trying to look around the corner, only make scouting more difficult). 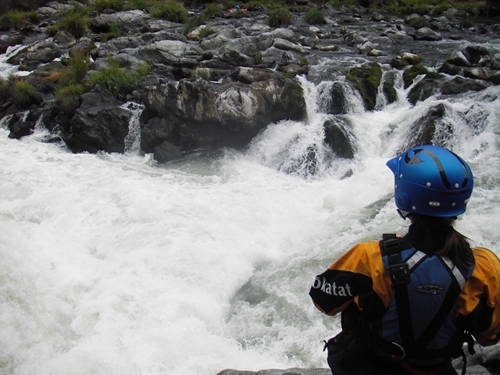 If there is no eddy, try back-paddling at the top of the rapid while facing downstream. Sometimes, this can give you just enough time to survey the rapid, and successfully find a line. Again, be aware of your boat positioning, and the speed of the water, as it’s very easy to float into the rapid. Once you see your line, take a deep breath, visualize your line, andÂ commit to it. Peel out of the eddy, look where you want to go, and charge your line! Don’t forget to smile and have FUN! Tips: Depending on the character of the rapid, you may only be able to scout the rapid from the top (waterfall), however, others you may be able to scout from eddies multiple times throughout the rapid (boulders gardens). In such boulder gardens, it is sometimes possible to scout just to the next eddy. This is an advanced boat scouting technique, and only recommend if you are comfortable in your abilities. Kim Becker is a professional whitewater kayaker with a passion for any form of river play. A Bend, Oregon native, she grew up paddling (11 years ago! ), and will always have a soft spot in her heart for the Deschutes River. 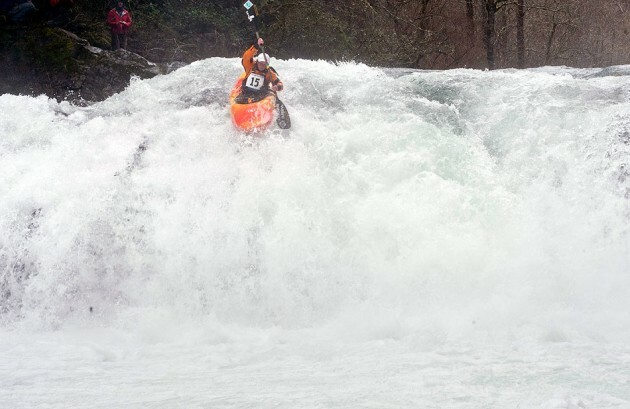 She is 2010 and 2011 Women's Champion of the Western Whitewater Championship Race Series. She paddles for Wave Sport Kayaks, AT Paddles, Kokatat Watersports Wear, Snap Dragon Designs, and FiveTen.